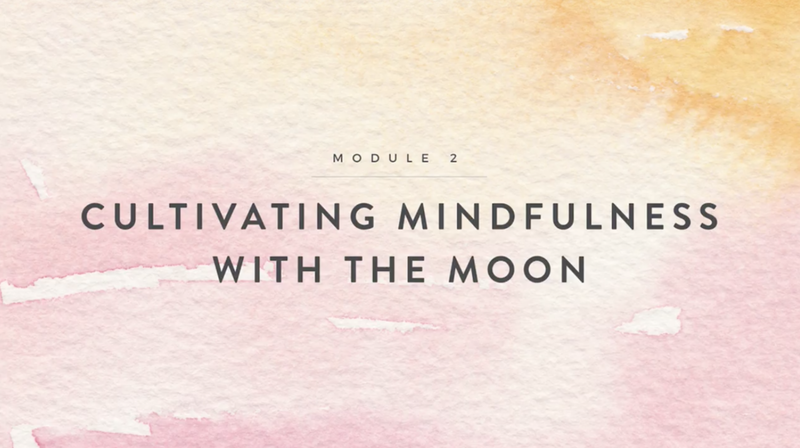 In this Module, you'll learn the role Mindfulness plays in the manifestation process. When you pair Mindfulness with the Moon, you're sure to manifest a life of more joy, peace, and inner abundance. And when you are balanced and at peace on the inside, it reflects in the world you manifest for yourself on the outside. Don't forget to download the workbook for each lesson. In this lesson, you'll learn the importance of Mindfulness and Reflection in your manifestation process. Everything is connected, and as you become more mindful of your everyday experiences, you begin to notice the things you are manifesting and become more aware of the energy you are putting out and receiving. In this lesson, you'll learn how your inner emotions dominate the energy and frequency you put out. This is essential to know when you are working with manifestation because it is your energy that is attracting people, situations, events and things either to you or away from you. You'll learn the importance of Bliss and Gratitude and how incorporating these two very simple acts amplifies your attraction factor. In this lesson, we're talking all about Intentions. Intentions are the most important thing we'll be working with when we work alongside the Moon. This is because the Moon supports you in your Intention setting process, and also amplifies your Intentions when you work towards them. You'll learn a 9-Step Process to Making and Manifesting your Intentions and Goals that you'll take with you when you begin to work alongside the Moon phases.